Your immune system is what protects you from many illnesses. It’s your defense system. It recognizes dangers to the body and fights bacteria, viruses and other dangerous microorganisms, to keep you healthy. The immune system is made up of cells, proteins, and organs. For most people, it works well, although they still may get sick or contract an infection from time to time. This is why we get vaccinations against illnesses like tetanus, measles, and polio. 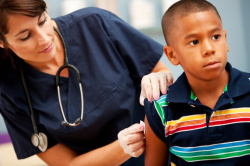 Vaccines trick your body into thinking it already had the illness, making you immune to it. Other medications, like antibiotics, antivirals, antifungals, and antiparasitics help your body infections that do develop. For a variety of reasons, many people are immunocompromised, which means their immune system either doesn’t work well or is not working at all. People who are immunocompromised are at higher risk of contracting infections, which increases their risk of developing sepsis. These infections may also be more severe. Some diseases, like cancer, are often treated with chemotherapy. While chemotherapy can be quite effective in fighting the cancer cells, it can also destroy some of the body’s healthy cells, including those that help fight infection. When people are undergoing chemotherapy, they must be careful not to be exposed to anything that could cause illness. Some people with cancer and other serious illnesses require a bone marrow or stem cell transplant. This also makes it hard for your body to fight infection. To prepare people for such a transplant, they must undergo chemotherapy and sometimes radiation therapy. This will destroy cancer cells and depress the immune system, so the body doesn’t reject the transplant. Organ transplants are occurring more often now, allowing people to live longer and to improve their quality of life. However, the body of the transplant recipient may see these new organs as invaders, so the immune system will try to fight them. To keep the body from rejecting the organ, people with organ transplants must take immunosuppressant drugs, or anti-rejection drugs. These drugs also can reduce the ability to fight other infections, such as colds, the flu, and more. 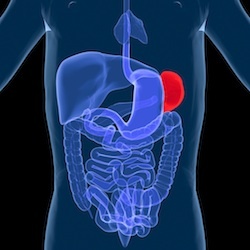 Your spleen is a small organ found in the upper part of your abdomen, near your stomach. It helps filter your blood and stores platelets and white blood cells, which fight infection. Certain illnesses can reduce how well your spleen works, such as sickle cell anemia. Technically, you can live without your spleen. It may be surgically removed because it is too swollen to work properly, or it may have been damaged through trauma, such as a car accident. Occasionally, people are born without a spleen. People without spleens must be particularly careful to avoid being exposed to anything that may cause an infection. Having an immune system that has been suppressed is a risk factor for infection, so extra care must be taken with infection prevention, such as proper hand washing, up-to-date vaccinations, and treating any infections as soon as they are noticed. If you are immunocompromised and suspect you may have an infection, mention your immunocompromized status to the healthcare professionals. This will help them with your care.